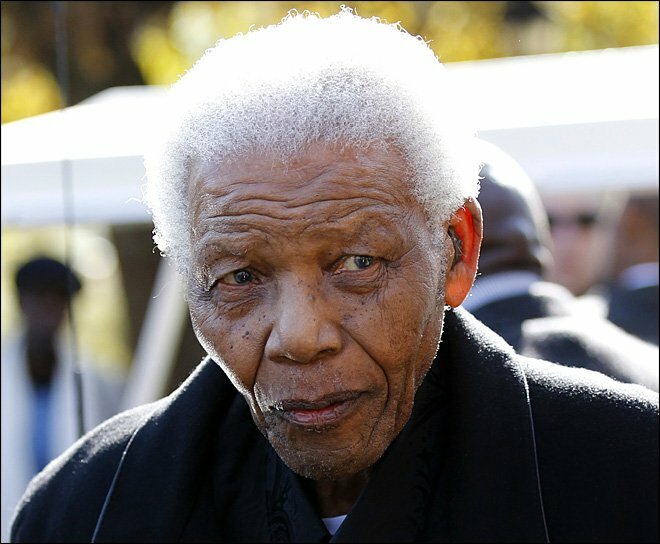 Former South African President Nelson Mandela has been admitted to hospital with a lung infection. Nelson Mandela, 94, is in a “serious but stable condition”, a spokesman for the current president, Jacob Zuma, says. He has been ill for some days but deteriorated overnight and was transferred to a hospital in Pretoria. Nelson Mandela led the fight against apartheid, became South Africa’s first black president, and is widely regarded as father of the nation. He has recently suffered a series of health problems and this is his fifth visit to hospital in two years. In April Nelson Mandela was released from hospital after a 10-day stay caused by pneumonia. His illness was described on Saturday as a recurrence of a lung infection, which has troubled him repeatedly. Nelson Mandela was taken to hospital, from his home in a suburb of Johannesburg, at about 01:30 local time. Mac Maharaj, South Africa’s presidential spokesman, said he was receiving expert medical care. Doctors were doing everything possible to make him comfortable and better, he added. Mac Maharaj said at least one close member of Nelson Mandela’s family was with him in hospital. “Naturally the immediate members of the family have access to him and it’s always good for the patient that he has been accompanied by one or other of them, and that has happened,” he said. “President Jacob Zuma, on behalf of government and the nation, wishes Madiba a speedy recovery and requests the media and the public to respect the privacy of Madiba and his family,” Mac Maharaj said in a statement, using the clan name by which Nelson Mandela is often known. Nelson Mandela retired from public life in 2004 and has been rarely seen in public since. There was a row in April when South Africa’s governing African National Congress (ANC) – Nelson Mandela’s party – filmed a visit to see him and broadcast the pictures of him with President Jacob Zuma and other party figures. Critics called it an invasion of his privacy. Nelson Mandela awarded the Nobel Peace Prize in 1993 jointly with former President FW de Klerk for ending apartheid and bringing democracy to South Africa. Alec Baldwin: "Kim Basinger is one of the most beautiful women that ever lived"